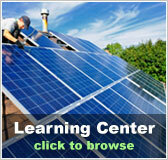 Solar Energy Heats Up | Solar Panels | Solar Power | Site Map | Bookmark This Site! Editor's Note: Solar energy in its raw form may be pollution-free, but manufacturing the devices that get the energy out of light and heat requires metal and other material, requiring mines and smelters, therein causing pollution. Maybe the most exciting thing about solar energy today is not only that the costs continue to drop and efficiencies continue to rise, but that clean solar energy is arriving at last. New technologies allow new methods of manufacturing which pollute much less, and often run on solar energy. Solar heating and solar electric systems can now generate thermal and electric energy over their service life up to 100 times the energy input during their manufacture. This ratio; the energy it will produce in its lifetime, compared to the amount of energy input to manufacture and maintain an energy system, has doubled in the last 20 years for most solar technologies. The ratio of energy out vs. energy in for solar systems has become so favorable that the economic and ecological viability of solar power is now beyond question. One reason solar energy still cannot compete financially vs. conventional energy is because the value of future energy output from a photovoltaic system is discounted when calculating, for example, an internal rate of return. These economic models that put a time-value on money, making long-term receipts not worth as much as near-term receipts cannot necessarily be applied to energy. Traditional models of economic analysis for an energy system lasting 50 years treat the free energy in years 11 through 50 as nearly worthless. The underlying assumption when discounting returns beyond 10 years is that BTUs are as fungible as currencies; something that is arguable but not certain. If a society as a whole desires energy independence, a solar energy system's return on investment in year 50 is no less valuable than the return on investment in year one. 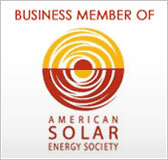 As forests and fossil fuels diminish, look to solar energyas one of the most promising sources of alternative energy. "At the present rate of energy consumption, the reserve of fossil fuels of the entire world can be exhausted in 50 to 100 years," said Dr. M. N. Nahar, principal scientist of the Division of Agriculture and Energy at the Central Arid Zone Research Institute (CAZRI). "There is an urgent need to harness solar energy and other alternative energy sources." Unlike natural gas, coal, or nuclear power, solar power requires no fuel, works without polluting the air or leaving behind dangerous radioactive waste, and is extremely plentiful. Researchers estimate that the sun produces enough energy in a single second to meet the needs of all humanity for 2000 years. "The surface of the Earth receives an amount of solar energy equivalent to roughly 10,000 times the world energy demand," wrote Erik Lysen in the January 2003 issue of Renewable Energy World magazine. Figuring out how to harness it has already been accomplished, to some extent. Solar technology is currently divided into two categories, thermal and photovoltaic. Thermal solar power uses the heat of the sun, and photovoltaics, or PV, is the technology that converts its light directly into electricity. A photovoltaic panel consists of several connected 0.6-V dc PV cells, which are made out of a semiconducting material, generally mono- or multi-crystalline silicon. The thin layer of silicon is sandwiched between two metallic electrodes, and the cells are usually encapsulated behind glass to make them weatherproof. Multiple PV panels can be then connected to form an array, capable of providing sufficient power for everything from common electrical applications like single-household electricity to Olympic swimming pools, apartment or industrial buildings. The average lifetime of a PV system is about 20 years, and it can be used in combination with conventional power or alone. The only problem is that, although in some cases it is becoming competitive, solar power is generally still slightly more expensive than tapping into conventional electricity. The process of constructing PV cells is somewhat complicated and delicate, and there is also a considerable loss of materials. Multi-crystalline silicon wafers are obtained from ingots grown by casting liquid silicon in a large container followed by controlled cooling, a technique less complicated than the pulling of single-crystalline rods. Then, in sawing the thin layer of crystalline silicon, about 20% of the material is lost as "sawdust". Efficiency is also not high, although it has been progressively increasing. A solar cell made of multi-crystalline silicon, which accounts for most of the PV panels currently in use and production, converts sunlight to electricity at about 13.5% efficiency. Mono-crystalline silicon, which is more difficult to produce, can achieve about 15%; in both cases, clouds and night time also rob the cell of a further 65%. One way to reduce PV costs is to use materials other than silicon as semiconductors, like amorphous silicon and cadmium telluride (CdTe). Although government grants are keeping the fire going, the technology is moving slowly, and thin-film PV panels are hard to mass-produce cost-effectively because of the difficulty of coating large areas of glass. "It is my opinion that crystalline- silicon technologies will dominate for at least the next 10 years," said Jeffrey Mazer of the U.S. Department of Energy (DOE) Office of Solar Energy Technologies in Washington. There is one instance, however, in which PV energy is already cheaper than using fossil fuels. If a location is not currently connected to the "grid," that is, if no power lines are there, it is less expensive to install PV panels than to either extend the grid or set up small-scale electricity production with a diesel or other generator. the average cost of extending those power lines ranges from $20,000 to $80,000 per mile, a cost the consumer usually has to bear. At this price, eliminating a power line extension of even one mile could well pay for the PV system for someone who can easily afford it-- or make electricity possible for someone who can't. Approximately two billion people, or about 1/3 of the global population, residing primarily in developing countries, are not connected to the grid, and may never be; in this area particularly solar is the energy source of the future, as these places develop. "For electricity production in rural areas in developing countries, solar energy is the cheaper alternative," said Nahar. Indeed, the demand for PV is growing faster outside than inside the U.S.
Photovoltaics first came into use in 1958 when NASA needed a feasible power source for its spacecrafts and satellites, and has been used for this purpose ever since. Other current uses of PV solar panels include powering watches and pocket calculators, powering the lamps of some remote lighthouses, and solar-energy systems in homes and buildings in Western countries. In the United States and Europe alone, about 15,000 vacation homes are equipped with PV systems; some environmentally-conscious consumers are willing to pay more for clean energy. The popularity of building-integrated photovoltaics (BIPV's), in particular, has grown considerably in recent years. BIPV's are PV devices designed directly into building materials like roofs, shingles, and siding, which offer electricity and aesthetics, eliminating the need for mounted solar panels. 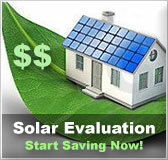 The cost of a BIPV system is also partially offset by replacing the costs of conventional construction materials. The system helps insulate and protect roofing structures, and BIPV life expectancies range in excess of 30 years, 33% higher than normal solar panels. There are currently more than 3,000 BIPV systems installed in Germany, and Japan has a program that plans to build 70,000 new BIPV buildings. In terms of overall installed PV capacity, India comes fourth after Japan, the US and Germany (Indian Ministry of Non-conventional Energy Sources 2002). "India is the only country which has a separate ministry for alternative energy," Nahar said. "Government support and subsidies have been a major influence in our progress." India is also in a good position because of the intense heat. "Arid regions receive plentiful solar radiation," he said. In computed global solar radiation of arid stations in the Indian states of Rajasthan, Gujarat and Haryana, it was found that Jaisalmer, Rajasthan, receives the maximum radiation at 6.27 kWh/m2 per day; the average daily duration of bright sunshine in Jodhpur, Rajasthan is 8.9 hours. "Thermal solar energy can be used for water heating, cooking, drying, water distillation, refrigeration, and space heating and cooling," continued Nahar. One of the most crucial of these uses is cooking, as half the total energy consumed in developing countries is used in the domestic cooking sector; there are currently over 500,000 solar cookers in use in India, according to Nahar, including the world's largest solar cooking venue in Tirupati, which provides food for over 15,000 people each day. Solar dryers, for dehydrating vegetables, and solar water heaters are also becoming popular. "Conventional water heaters require copper piping," Nahar said. "We have developed models using gerberized steel." These water heaters are currently used in hotels and hospitals, providing up to 100,000 litres of water per day; the cost of these is also decreasing steadily (Figure 3). Another important area of development is that of solar stills, by which the acute draught and shortage of potable water, currently the cause of many physical disorders, can be alleviated. In the latest models of solar stills, presuming the potable limit to be 1500 PPM TDS, as much as 50 litres per day of potable water can be made available from raw water with salinity of 5000 PPM TDS by installing a solar still of capacity 35 litre/day. If the per person requirement for drinking and cooking is 5 litres/day, this is enough for a family of 10. 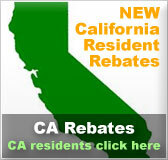 Income can also be derived from solar stills. Considering the cost of the still, interest and maintenance, solar distilled water costs Rs. 0.98/litre, and the current market rate of distilled water is Rs. 3/litre. A solar still for the production of rose water has also been developed, which can be quite profitable. A unit with glass area 0.6 m2 costs only Rs. 900. Although irrigation facilities are required, the unit produces approximately 36 litres of rose water per month. The current market rate for rose water is Rs. 50/litre, which means that in the first month the unit has paid for itself-- twice. Other important areas of alternative energy development are those of wind power and biogas. Biogas plants have become increasingly prevalent--The present capacity of biomass-based power generation totals 358 MW and 42.8 MW biomass gasifier power has been installed and regarding wind power India keeps fifth place after Germany, the US, Denmark and the UK with a total wind power generation of 1507 MW (MNES 2002). "The future of solar energy is bright," Nahar said. "In the last 20 years, the cost of conventional power has been going up, and the cost of solar energy has been coming down." Brook and Gaurav Bhagat are writers and independent filmmakers based in Jodhpur, Rajasthan, India.